Iranian president Mahmoud Ahmadinejad will be heading to New York to address the United Nations in hopes of convincing the world that his country’s nuclear research program is for energy and not weapons. He has complemented that effort with rhetoric that a military strike on his country’s nuclear facilities will lead to dire consequences. The Arab countries across the Gulf from Iran are watching this unfolding situation with great concern. 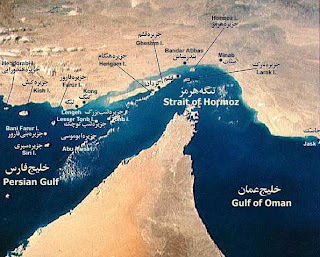 An expected consequence of a military strike on Iran is an Iranian attempt to the close the Straits of Hormuz, a narrow waterway between Oman and Iran. About 25 percent of the world’s oil supply moves through the straits – most of it from the Gulf Arabs. For years, Iran has been developing military capabilities that will allow it to close the strategic waterway. Disruption of the flow of oil through the straits is of concern to not just the Gulf Arabs, but the rest of the world as well. Although the United States imports less than 20 percent of its oil from the Gulf, oil is a fungible commodity. If that much oil was taken off the markets, the countries that normally buy this oil will compete with us for oil from our normal sources, driving prices up dramatically. Threats to the straits are a “red line” for these countries. At least one Gulf Arab country – Bahrain – has declared that the Gulf countries are ready to “respond with force” if Iran attempts to block the straits. Bahrain - a key U.S. ally in the Gulf - is home to the American Fifth Fleet, whose ships patrol the Persian Gulf and adjacent waters. The normal U.S. Navy presence in the Gulf has been reinforced recently to include two carrier strike groups. As the Iranians have spent years and resources developing the ability to close the straits, the U.S. Navy likewise has developed the means to keep them open. The Iranians have experience confronting the U.S. Navy. In the 1980’s, during the Iran-Iraq war, American warships escorting Arab tankers often came under attacks, including mine warfare. In 1988, the Iranians challenged the Americans in a significant surface action, with disastrous results. The Economist described Iran’s move as "how to waste a navy." The Gulf Arabs ability to respond with force against Iran is limited. While most of the six nations of the Gulf Cooperation Council (Saudi Arabia, Kuwait, Bahrain, Qatar, Oman and the United Arab Emirates) have capable air forces, their naval capabilities are not sufficient to re-open the Straits of Hormuz. If there is action in the Gulf against the Iranians, it will be by American forces. The more important point here – the Gulf Arabs have made it clear to Tehran that they are willing to use force to keep the oil flowing through the straits. Just as the world needs to buy the oil, they need to sell it. 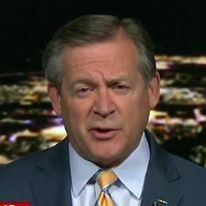 Should the crisis erupt into an armed confrontation, they will be standing with the United States. If we are concerned about base – naval and air – access in these countries for a coming confrontation with Iran, now is the time to ask. Ahmadinejad is doing what the Americans have been unable to do – create a coalition against Iran.